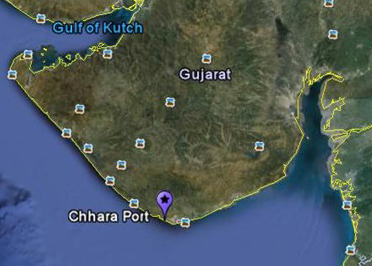 In a major boost to Gujarat, the Ministry of Environment and Forests (MoEF), Government of India, has given environmental and coastal regulatory zone (CRZ) clearance for the development of all-weather port at Chhara village, Junagarh District, to its developers, the Shapoorji Pallonji Group. While giving the clearance, provided a week before Gujarat chief minister Narendra Modi made the controversial statement, accusing former Union environment minister Jayanthi Natarajan of charging what he called "Jayanthi tax" and derailing many a project, the MoEF agreed with the developers' view that the location of the site “is not an eco-sensitive area”, and the “nearest wetland is about three km away”. Suggesting that “the additional information” was handed over, and clarified, the MoEF said, response on the issues raised in an appeal to the National Green Tribunal (NGT) helped made a few minor changes. The EAC approved the project on September 21, 2013. Development of the port is proposed in two phases. In the first phase, the developers propose to develop facilities to handle imported coal at 8 metric million tonnes per annum. The Gujarat Maritime Board (GMB) issued letter of intent (LoI) to the Shapoorji Pallonji group in April 2008 for development of all-weather, direct-berthing port and create necessary infrastructure at Simar. But subsequent investigations at the Simar Port site (Khada village) revealed adverse offshore geo-technical data which led to the conclusion that port cannot be developed at Simar. Hence, the developers then identified another site, 45 km on the west of the Simar site, near Chhara village. Before the MoEF granted clearance, the Gujarat Coastal Zone Management Authority (GCZMA) recommended the project was not near any no eco-sensitive area, and the nearest eco-sensitive zone was not within 10 km radius. The project's public hearing was held on November 11, 2010 at MM High School, at Sarkhadi-Chhara Circle, Kodinar. The issues raised included employment, impact on water bodies, conservation of shark whales and sea turtles. The matter went to the NTG, which in its order dated April 22, 2012, which also did not find anything objectionable in the project. While granting environmental clearance, the MoEF wanted the developers to comply by certain conditions, including obtaining “consent for establishment” from the State Pollution Control Board under the air and water Act, development of rainwater harvesting “with respect to maximum rainfall”, coal be “kept under moist conditions using water sprinklers”, there should not be any disturbance to the canal joining the two water bodies nearby, implementation of a corporate social responsibility (CSR) action plan, development of greenbelt, including mangrove plantation in 200 hectares area”, and so on. 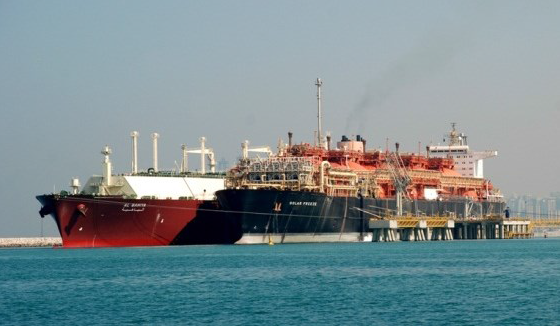 Following the environmental clearance, the Shapoorji Pallonji group has applied to the MoEF for yet another clearance – to set up a liquefied natural gas (LNG) re-gasification terminal in Gujarat at the cost of Rs 5,400 crore.Proposed to be set up at a 50:50 equity partnership with the Hindustan Petroleum Corporation Ltd (HPCL), about 20 km from the port site, while the first phase of the LNG terminal proposes capacity of 2.5 MMPTA, in the second phase it would be expanded to 10 MMPTA.